Location: Mon Art Gallery at the Renaissance Rif Fort, Curaçao. 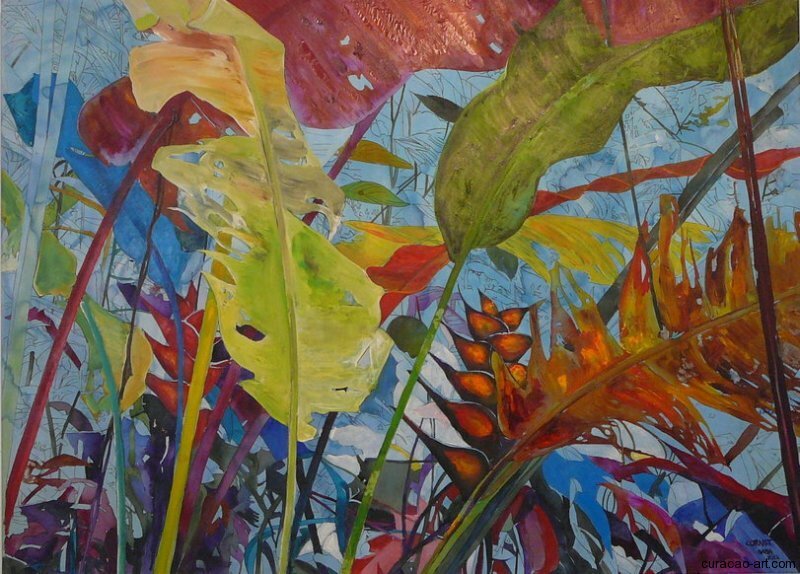 Heleen Cornet (The Netherlands, 1945) exhibits at Mon Art Gallery, Curaçao, from February 25th till March 10th, 2013. 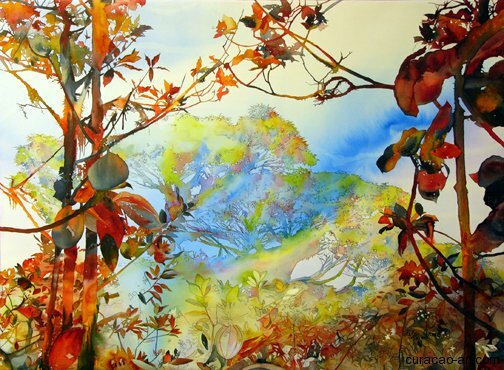 Most of the paintings on display are inspired by the Elfin forest on Saba. Heleen Cornet came to the Dutch Caribbean in 1974. After living in Bonaire, Curaçao and St. Maarten she finally settled on Saba in 1986. On Saba she was instrumental in founding the Saba Foundation for Arts. 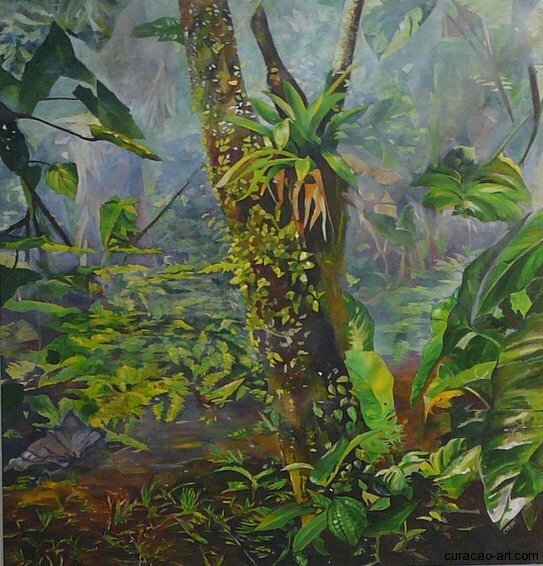 ‘The Magical Rainforest’ is not her first exhibition in Curaçao. 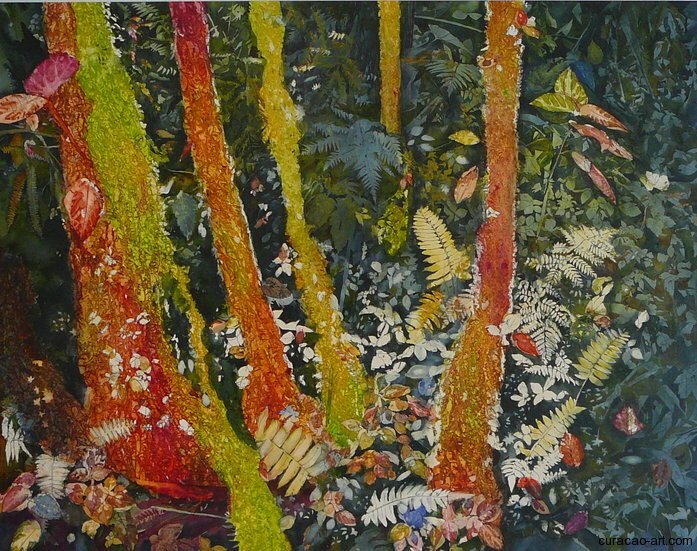 In 1999, for instance, she participated in the grand exhibit ‘Arte ’99, Identidat…ayera awe mañan’ with the conspicuous installation ‘Perpetual Rainforest’ and in 2008 her work was shown at Landhuis Bloemhof in the exhibit ‘Different Perspectives’. The Cloud Forest on the top of Saba intrigues her so much that she sometimes stays there for days. 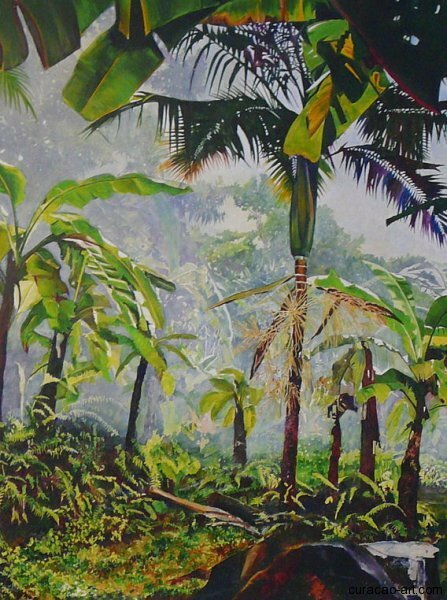 Her paintings are a continuous search for the right technique and materials to capture the nature of Saba on her canvas. Click here for more information about Heleen Cornet.